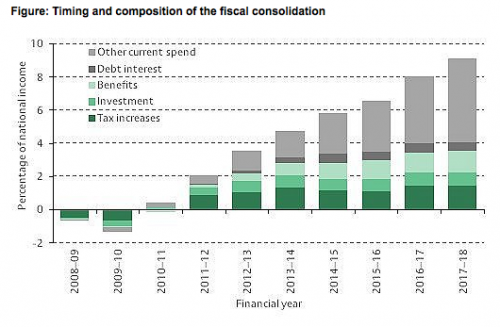 By the end of 2013, the UK government will have implemented 52% of planned fiscal consolidation. One consequence of this is that there is likely to be an increase in income inequality from 2013-14, as low income groups experience the impact of the benefits squeeze. The good news is that 90% of public investment cuts have been implemented, and in the latest spending review, the government has pledged to increase public investment. It seems to me that politicians in general know very little about economics. In order to counteract the effects of the ongoing crisis in UK, maybe it’s time politicians and administrators took advice from professional economic crisis specialists with a proven track record of positive results. For example, the Orlando Bisegna Index, specialists in the economic crisis, have developed a program that has helped various counties with debt problems, business failures and unemployment.